Carl D. “Skip” Cessna, 76, of Tiffin, died at 7:15 a.m. Thursday, Nov. 8, 2018, at his residence. Carl was born Oct. 12, 1942, in Kansas, to Clayton and Troas (Boyd) Cessna. He married Mary Alice “Allie” Bentz May 29, 1965, at St. Joseph Catholic Church and she survives in Tiffin. His family includes Cindy (Ciro II) Ciraci of Bolivar and children, Angelina, Francesca and Ciro III Ciraci; Denise (Joe) Soldano of Lexington, South Carolina, and children, Ryan and Lexi Soldano; Greg Cessna of Tiffin and children, Nick (Jean Marie) Cessna, Masonne McIntyre, Jayma Voorheis, Kailyn Hernandez and grandchildren, Michael Cessna and Natalie McIntyre; Tim (Deb) Cessna of Republic and children, Brooke and Lainey Cessna; Beth Cessna of Tiffin and children, Brandon (Callie) Cessna, and grandson, Bennett Cessna; and Brady Hedrick, who is deceased. He also was preceded in death by his parents; three brothers, Don Cessna, Lloyd Cessna and Fred Cessna; and a sister, Jane Roessler. Carl was a 1961 graduate of Jackson-Liberty High School. He worked at General Electric Co. and later retired from Whirlpool Corp. of Clyde. 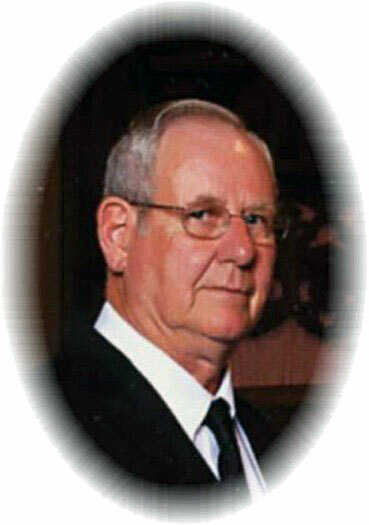 He enjoyed fishing and sprint car racing. Visitation for family and friends will be 1-3 p.m. Saturday, Nov. 10, 2018, at Traunero Funeral Home and Crematory, 214 S. Monroe St., Tiffin, OH 44883, (419) 447-3113, with a funeral at 3 p.m. Burial will follow in St. Joseph Catholic Cemetery. Memorial contributions may be made to American Cancer Society, Bridge Hospice or a charity of the donor’s choice. For directions, out-of-town flower orders, to offer condolences to the family or view the celebration of life video, visit www.traunerofuneralhome.com.